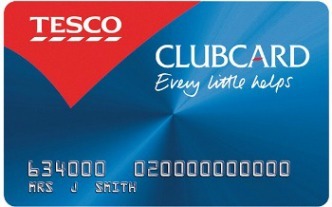 Every 3 months you’ll get sent your Tesco Clubcard vouchers in the post. The voucher value you get is based on the amount of points you have collected. You can choose to spend them as they are against your shopping in-store, online and at the pump, or you can also make them go further with Clubcard Partners. With Clubcard Partners, you’ve got a range of partners where you can get up to 4x the value of your vouchers, whether you’re after days out or eating out. Make sure you don’t lose out and keep up to date with all of the latest offers Clubcard has to offer by checking out all the new ways to boost your Clubcard card points. When you choose to exchange your Tesco vouchers with Clubcard vouchers you are able to get up to 4x their value at a huge range of places across the UK! £2.50 of vouchers is actually worth £10! While loads of the offers can see you quadrupling the value of your vouchers, some do give you less value and double them instead. There are literally hundreds of Partners to choose from that you can swap your vouchers for! You are also able to search using your postcode to find things near to you. Days out include fun days out, experience days and entertainment. Think Chessington World of Adverntures, Longleat or LEGO Land! From pubs to cafes and restaurants, you’ll be eating out at the likes of Pizza Express, Zizzi or ASK. Swap your points for 3x of their value for Avios points, or spend them on Virgin flights or National Rail cards. Everything for the home and garden, as well as motoring and driving lessons are included here. Treat yourself with up to 4x boost on health and beauty, shopping and gifts, magazine subscriptions and memberships. Offers available are both for national chains and local offers so you’ll be sure to find something near you. How do I get a Partner offer? To get a Clubcard Partner offer, you pick from their range online, add your offer to your basket then enter your voucher codes. You’ll then get an email confirming your order, and either an email or your token in the post. You don’t have to swap your vouchers with the Partner offers. If you want, you are just able to spend your vouchers and get money off at the till or off your online basket. You can use the voucher for discounts online or in store for Tesco groceries, at Tesco Direct, on Tesco F&F Clothing or at a Tesco filling station. When it comes to shopping online, simply enter the code at the online checkout. If you’re in store then hand over the voucher to the cashier and value will be taken off your bill. 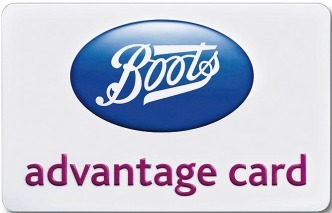 However, you will get the most value by following the Clubcard Boost as you can get 4x the value of your vouchers. Instead of getting your vouchers through in the post every three months, you can choose to receive them just once a year in your November statement as part of Tesco Christmas Savers. This can help with the cost of food and presents for Christmas. However, remember that you won’t get any benefit from the Partners Boost. Tesco Boost is now closed; it was an event that happened a few times a year. During a short window of time, Tesco opened Tesco Boost for you to double the value of your points to be used in store or online. Tesco ended Boost on 26 June 2016 but reinvested in Tesco Clubcard Partners. Their Clubcard Partners offers gives you 4x the value of your vouchers so you are earning a whole lot more. It’s also open at all times of the year, giving you more flexibility to spend the points when you’re ready to. If you’ve lost your Tesco vouchers there is no need to worry! All your vouchers are stored in your online account so you can log in and check if you’re got any you may have forgotten about. 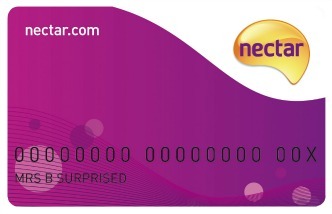 Login to My Clubcard Account and click on ‘My Coupons’ to view your vouchers. You also have the option to print them off if you want to use them in store.